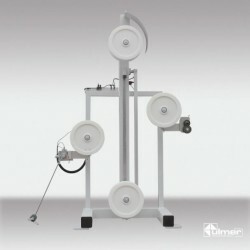 shearing cut for cables, ribbon cables, strands, shrinkable tubes etc. 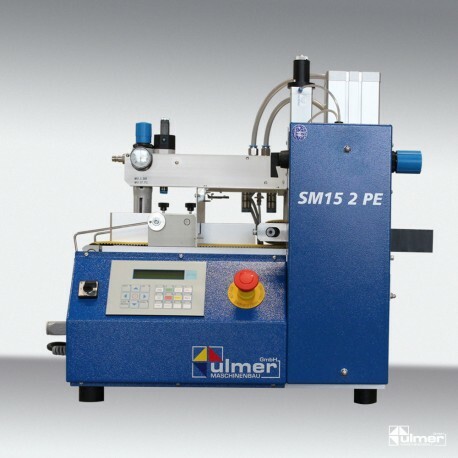 Optionally, there’s a cutting head for the SM15 2PE for mitre cutting available. 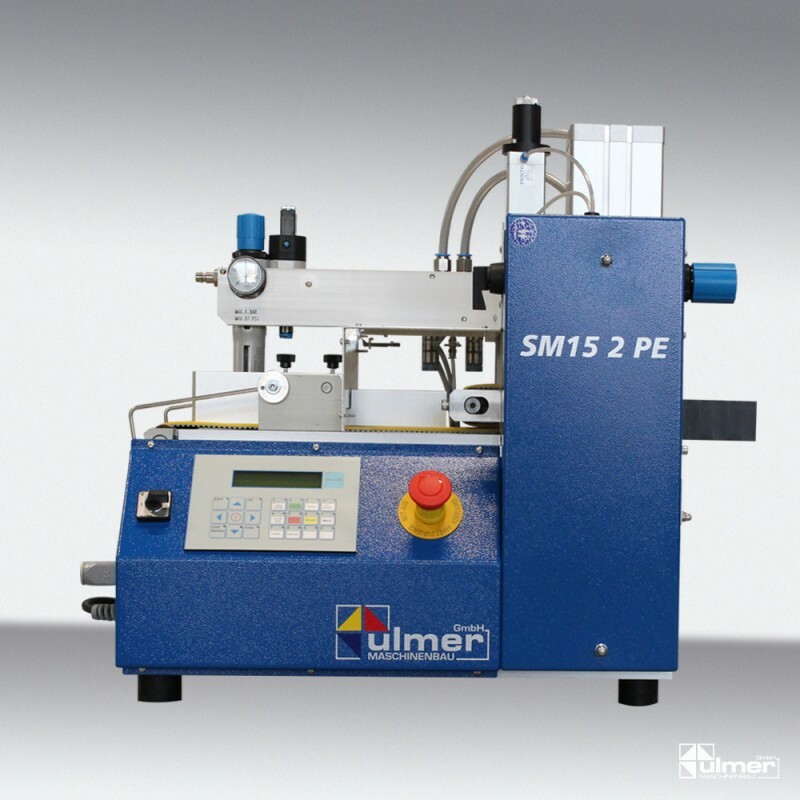 In order to process extremely wide materials or for multi-lane-cutting, the SM30- and SM40-series has been designed. With a max. 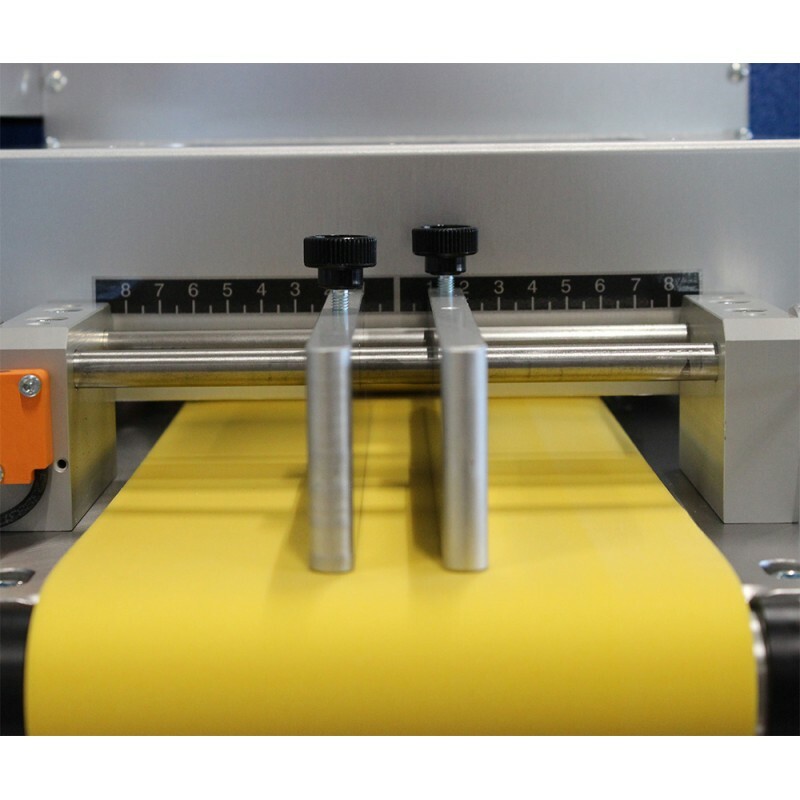 admission width of up to 400 mm, the SM30 or SM40 offers an excellent cutting machine technology in the field of foils and multi-lane-cutting. 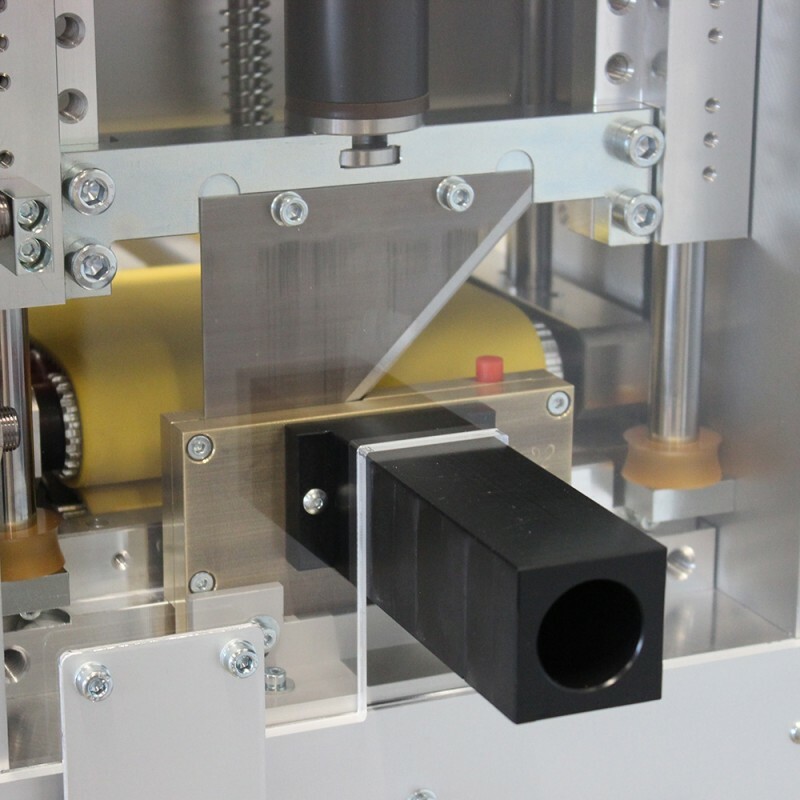 The infeed side guides can be adjusted to the material width. The guides are available in different designs.